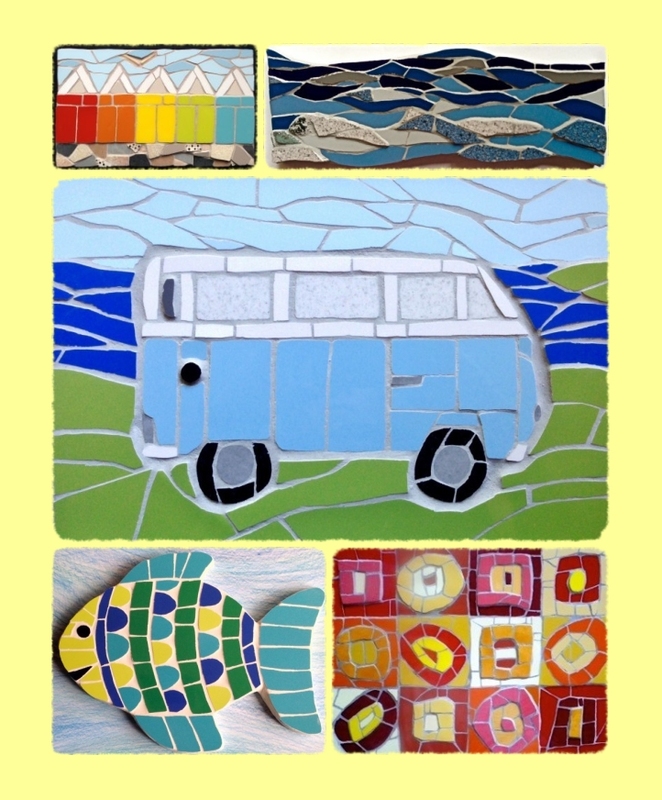 I am throughly occupied at the moment with a new commission, unlike any I have done before. 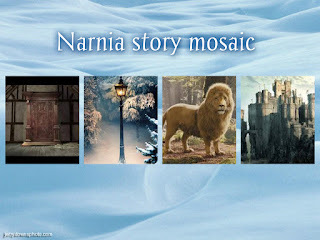 A customer of mine (I think I would even go as far to say she is a collector of my work, which makes me very happy) loves the Narnia stories by C. S. Lewis. 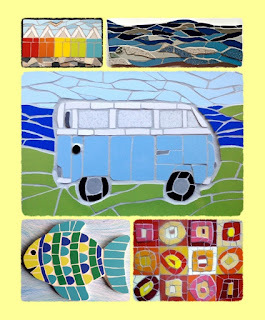 She asked if I could make a long thin mosaic depicting the main images of the story. Well, I love a challenge and so when her commission turn came (she is very patient! ), I started to formulate a sort of triptych design in my head for it and finally decided on three main scenes from the story. The wardrobe had to be there, of course, then the lamppost with Mr Tumnus and Aslan the lion and the castle. I had to think of how I could combine these three very different scenes as seamlessly as possibly using my trusty tiles. 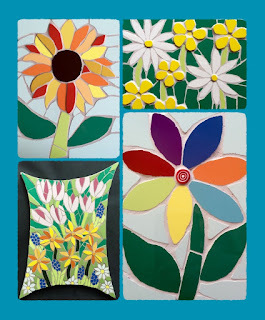 The mosaic is for my customer's garden so I am using porcelain tiles which are frost resistant. They are great, and I have a wide range of colours, but, oh, they are SO hard to snip!! 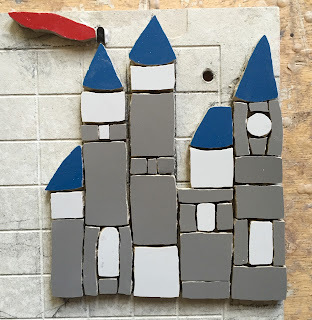 I do have porcelain cutters as well as my ordinary snippers, but I can only do a few hours of snipping at a time before giving my fingers, hand and arm a rest! So, it is coming on well. Trying to get the angles right for the open wardrobe door was tricky, and Mr Tumnus was a challenge! I am really pleased with how the lamppost and Mr Tumnus have turned out, and now on to the castle and Aslan. I have used a bit of artistic license with the castle of Cair Paravel, and decided to use greys and blues for it, as there are a lot of sandstone/brown tiles in the rest of the mosaic - so apologies to any purists out there! 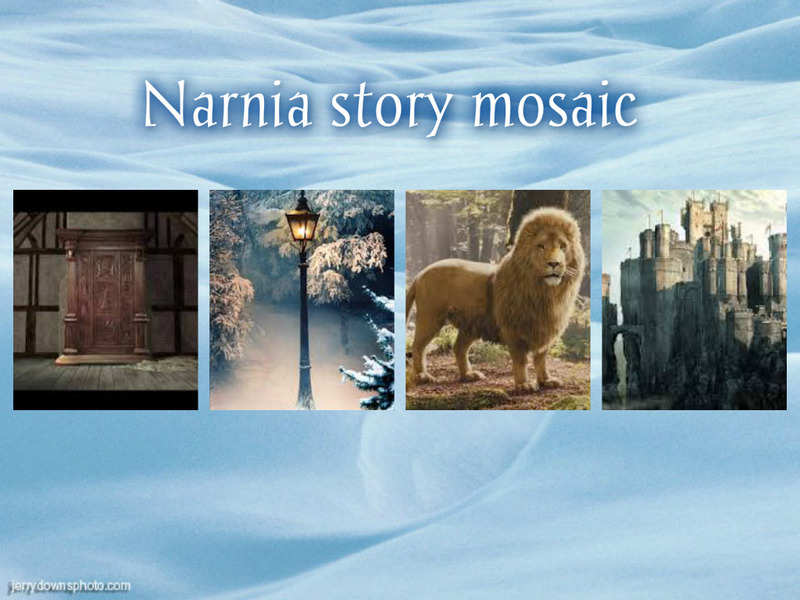 Keep an eye out for my next post when you will see the Narnia story mosaic is finished! Please forgive this shameless plug ....! 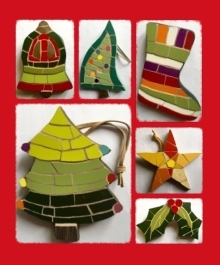 I have been working hard to stock up my 'mosaics-ready-to-post' shop with all sorts of lovely original mosaics for the oncoming festive season, and it would be great if you could take a look. 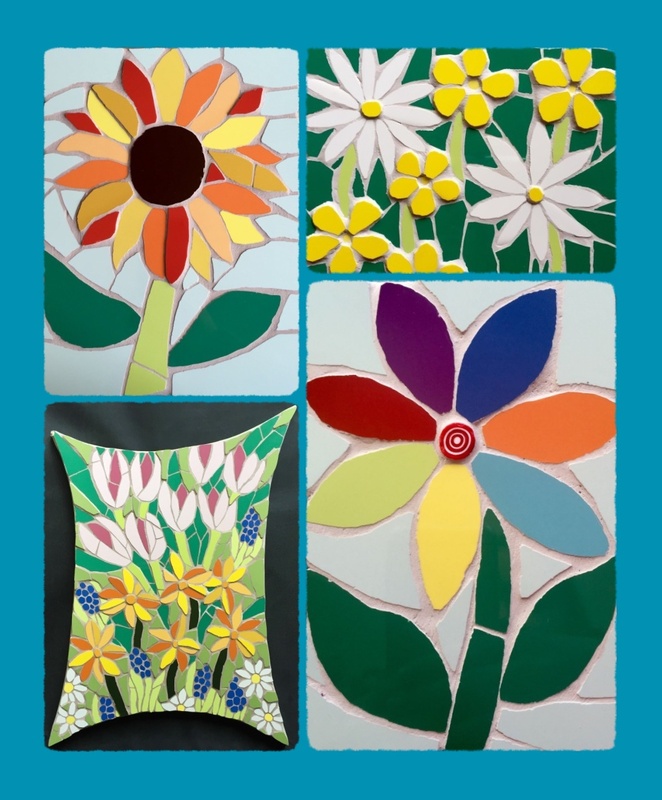 There might just be something there that would be perfect for someone you know - especially the person who has everything! - or perfect for you! Thank you SO much, and if you think your friends might be interested, please spread the word!